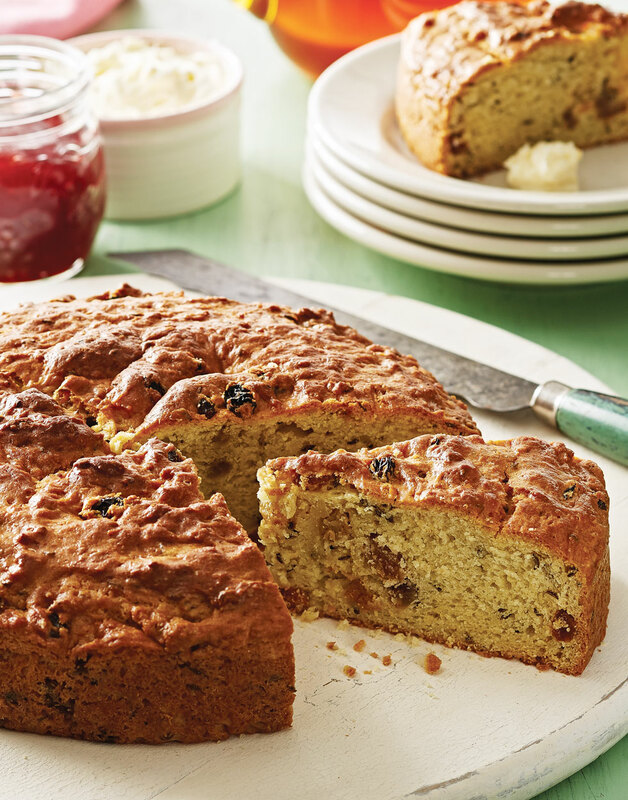 A St. Patrick’s Day treat, this “Irish” soda bread might just be the most delicious — and easiest to make — quick bread you’ve ever eaten. Irish soda bread purists won’t claim this recipe as traditional — slightly sweet and overall Americanized, it’s actually more scone-like. In traditional Irish soda bread, while you might find a handful of raisins or a sprinkling of sugar added here or there, it’s not typically a sweet bread. Preheat oven to 375º. Coat a 9-inch round cake pan with nonstick spray. Whisk together flour, sugar, caraway seeds, baking powder, baking soda, and salt in a bowl; stir in raisins. Combine sour cream, butter, and egg in a separate bowl; stir into dry ingredients just until combined and all flour is incorporated. Transfer batter to prepared pan; cut an “X” into the top. Bake bread, rotating pan halfway through baking, until golden and a toothpick inserted into the center comes out clean, 45–50 minutes. Cool bread in pan on a rack 10 minutes; remove from pan and let cool completely before slicing. After all the dry ingredients are added in, whisk them well so the leaveners are evenly distributed. Cut an “X” into the top of the dough to allow the bread to stretch and expand as it rises in the oven.